This article presents analysis results only. For background see Sony A7S DR‑Pix Read Noise. 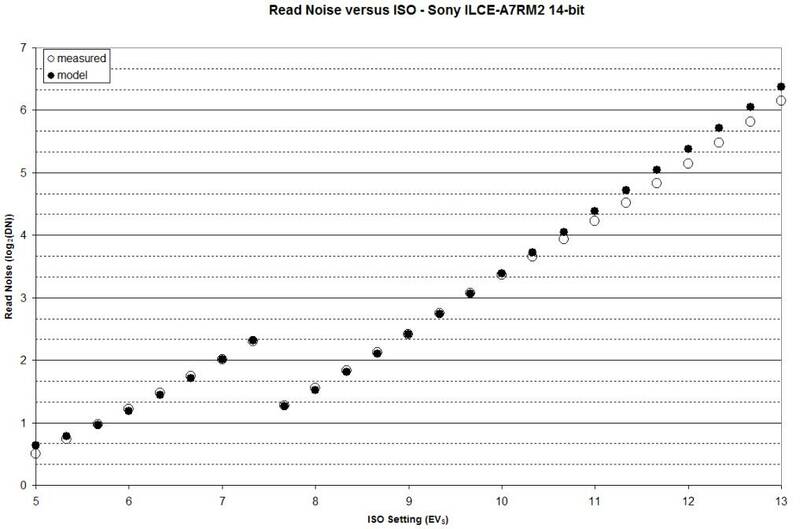 You can see by examining the table or the following chart that the model read noise and the measured read noise agree quite well. 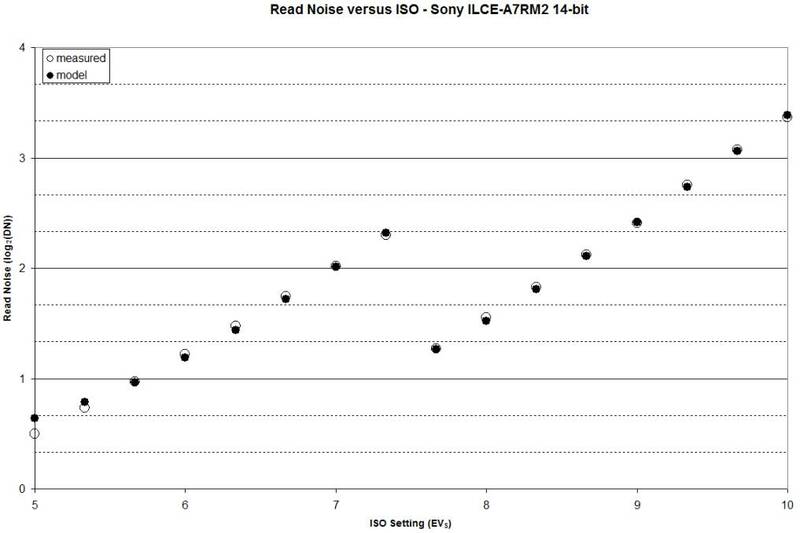 However, agreement above ISO 3200 diverges as if there is a small amount of noise reduction. This is still under investigation.